As retail becomes increasingly focused on the omnichannel experience—the ability to browse and buy via multiple channels, including online and in-store—many brands are turning their attention to their e-commerce strategy. However, for traditional shopping malls that rely on in-store purchases, while an e-commerce approach will help boost sales, they have to look further for new, innovative ways to draw in customers. It’s a very fashionable thing to say that malls are dying, but it’s simply not true. One strategy mall owners and developers are turning to? 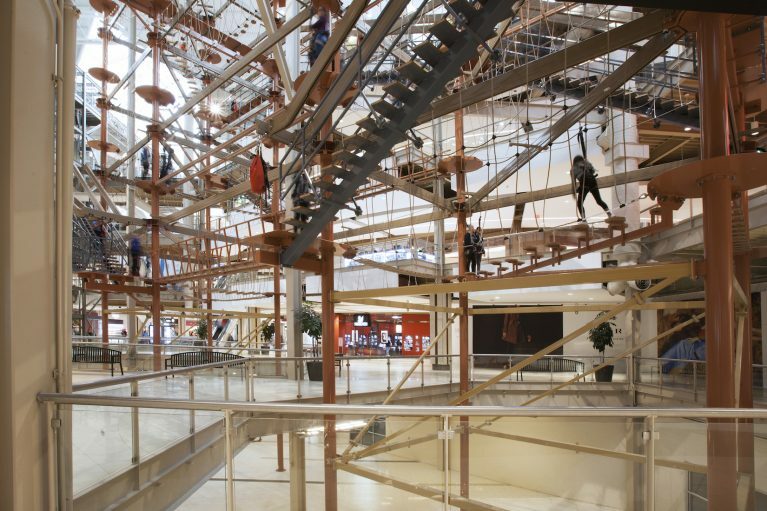 Investing in interesting experiences, like indoor ski slopes, water parks, ropes courses and more that can allow consumers to shop, dine and play all in the same spot. Palisades Center, located 18 miles north of New York City, plays host to 24 million annual visitors and offers 2.2 million square feet of gross leasable area. Built in 1998, the mall has undergone its share of changes as the industry has adapted to the rise of e-commerce and new types of retail. Today, aside from housing traditional retail stores and anchors like Target, The Home Depot, Macy’s and more, it also is home to a handful of experiential tenants that help draw in new types of customers and bring more foot traffic to the center of the mall. 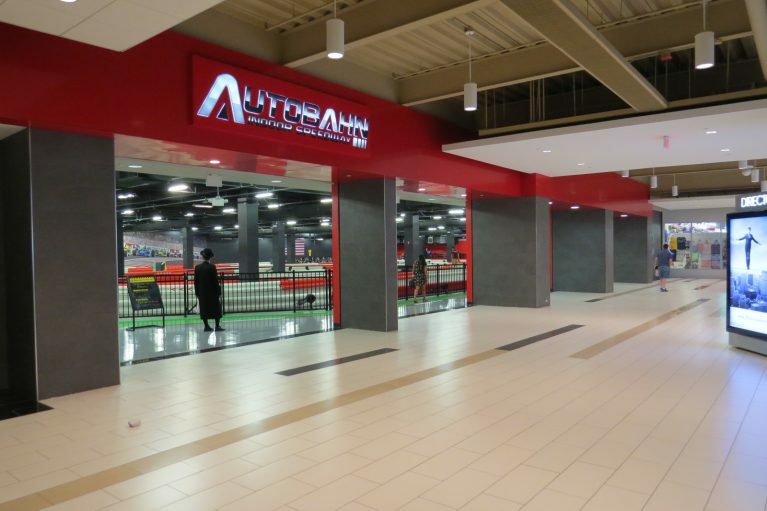 Such experiences include the world’s tallest indoor ropes course, Lucky Strike, 5 Wits—a live-action immersive adventure—Autobahn Indoor Speedway, Palisades Ice Rink and more. Captured, Autobahn Indoor Speedway. Photo credit, Palisades Center of Pyramid Management Group. 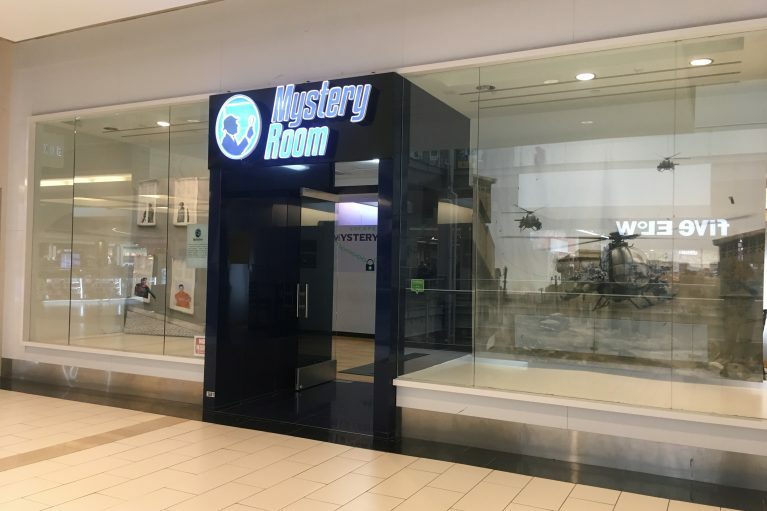 Captured, Mystery Room. Photo credit, Palisades Center of Pyramid Management Group. 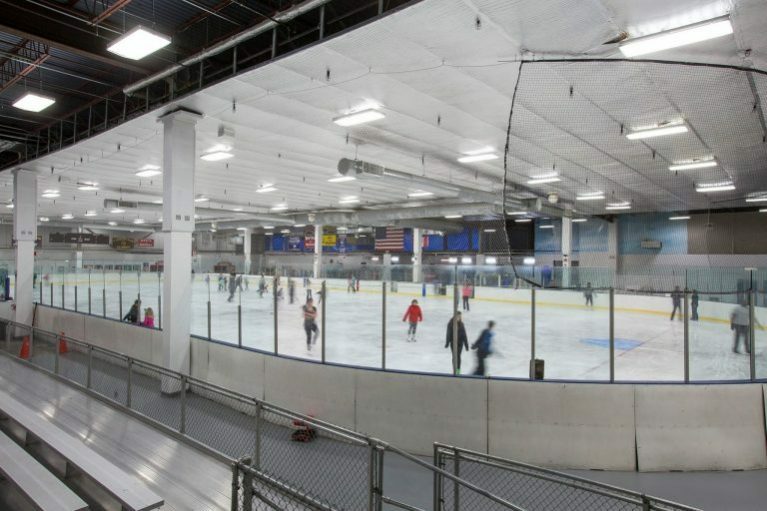 Captured, Palisades Center ice skating rink. Photo credit, Palisades Center of Pyramid Management Group. Captured, Palisades Climb ropes course. Photo credit, Palisades Center of Pyramid Management Group. Captured, Levity Live comedy club. Photo credit, Palisades Center of Pyramid Management Group. Malls aren’t dying, and the proof is in the numbers: The International Council of Shopping Centers estimates that 84 percent of shoppers will visit a mall or shopping center this holiday season. One such live, work, play shopping center in the works? American Dream Meadowlands, a behemoth retail and entertainment development project in a popular retail hub in New Jersey, which has been underway since 2002 and plans to open in 2019. 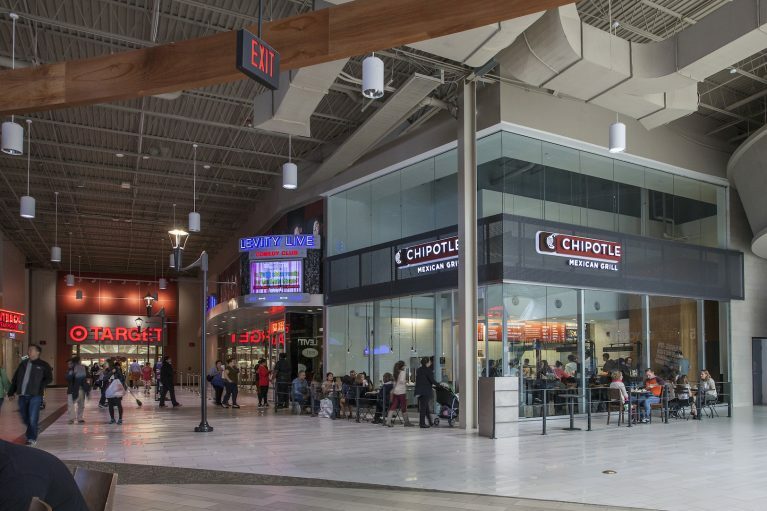 Retail has its cycles, and right now it’s focused on food and beverage, and entertainment. Currently being developed by the owner of the two largest shopping centers in North America—Mall of America and West Edmonton Mall—American Dream will encompass approximately 3 million square feet with over 450 retail, food and specialty shops. As for the experiential component, the mall will include over 18 acres of entertainment, including a fully enclosed indoor water park, theme park, a 16-story indoor ski slope and snow park, an observation wheel, aquarium and more. It will be 55 percent entertainment and 45 percent retail, with an international tourism center, hotel, convention center and more dining options than any other retail center in the U.S., effectively shifting the focus to make the complex a complete destination, instead of simply a shopping destination.